I’ve heard a lot about Trona Pinnacles and seen some amazing photos from there as well. I was in SoCal over the weekend and decided a detour was in order for the day. Here are a couple of photos. If you plan to head out there here are some suggestions. The road out there is washboard gravel. It’s a short bumpy ride, so a passenger car is do-able. (There were rv’s parked out there). Bring water, it’s early April and I was running around in shorts at 3 AM so stay hydrated & don’t forget the sunscreen. It can also get windy so be prepared to have dust in everything. There is one pit toilet and someone had left a lit citronella candle burning in there. Made for one of the most pleasant smelling pit toilets ever. This entry was posted in Landscapes, rocks, Sky, Travels and tagged California, Landscapes, Travels, Trona Pinnacles. Smoke from the Detwiler Fire over 200+ miles south of the Tahoe Basin created a hazy moody sunrise over Echo Peak in this early morning shot. This entry was posted in Landscapes, Sky, Tahoe, Tahoe Rim Trail and tagged Landscape, Sunrise, tahoe, Tahoe Rim Trail. Driving at night beholds the star lit sky above. I pulled over and scrambled up some boulders and watched the starry night sky pass before me. The only sounds, nature and maybe a car or two passing by. This entry was posted in Night, Sky, Tahoe and tagged Lake Tahoe, Milky Way, Night. 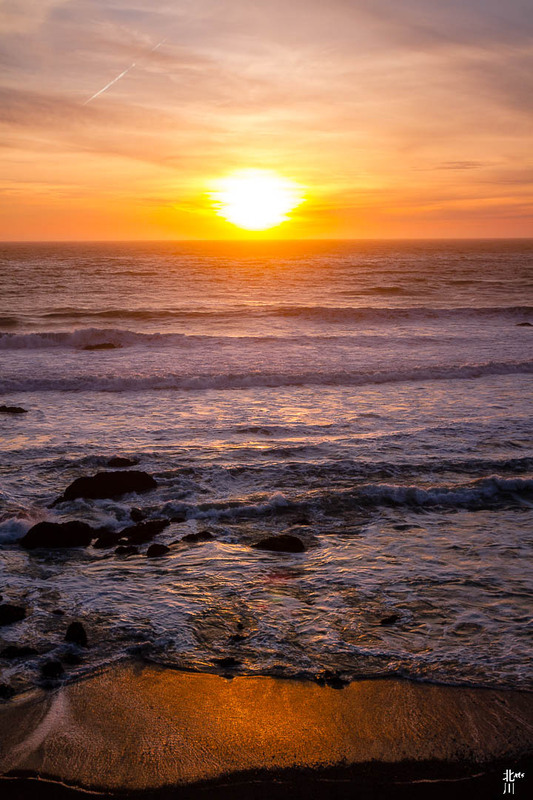 This entry was posted in Landscapes, Ocean, Sky and tagged Coast, ocean, Sonoma, State Parks, sunset. Was out last weekend practicing my night photography. Decided to try out the shot in black and white. 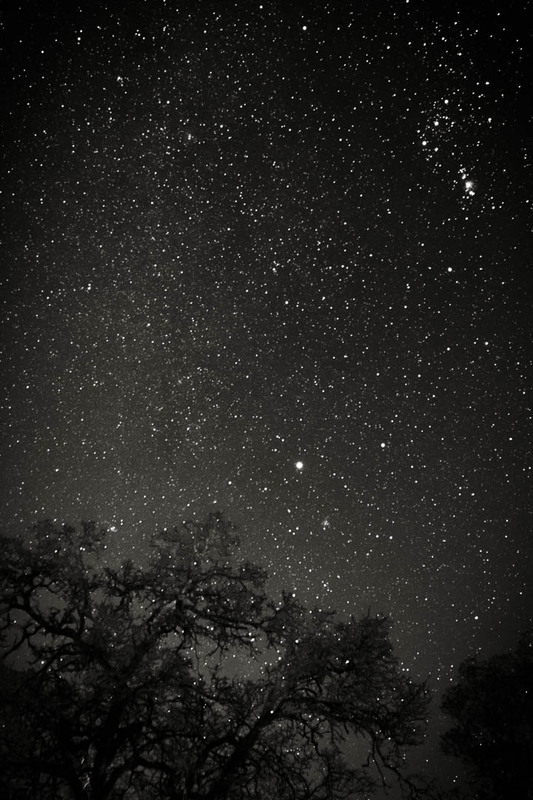 This entry was posted in Calaveras, Night, Sky and tagged Calaveras, Night, sky. Past few months (year) I felt like I lost some of my creativity or maybe more to the point it went into hibernation. I let my daily work life take over and it became mundane. Get up early, go to work, fix this, file that, eat, sleep, look forward to the weekend. BLAHHH! Then this past summer I created a few side projects for myself and I started making time for photography. I re-discovered that my creativity is exactly what I need on a daily basis. And I have to, ‘I get to’ – make time for it; just like I have to make time for lunch or dinner. Sometimes, there’s a plan and sometimes it happens on a whim but I gotta do it. Photography makes me happy, it makes others happy, seriously, just how did I forget how much fun being creative is? I started reading articles by David duChemin about finding your vision. I’m on week 8, 9? and the articles are inspiring and has me thinking about my craft. He talks about concepts and studying other artists and i’m enthralled with each article. There are points that stick out better than others, like “What do you love enough to spend your short life, or your limited free time, photographing?”. That’s easy, nature, the mountains, the forest, hiking, dogs, flowers, rivers, the Milky Way (stars, not the candy bar), flowing water… oops, maybe it isn’t that easy to narrow your focus afterall. One suggestion from duChemin is to to take fewer photos or more specific, “…consider making fewer final photographs. I want you to consider demanding more from each final frame and being choosier about what you show to the world.“. I take hundreds of photos, probably closer to a few 1000 within a year. So this year I will be “choosier” with my final product. The first article in the series recommends looking through the last year of my ‘work’ and added some questions to ask myself as I work through this process. “What commonalities do you see in the work? What themes repeat themselves? Which images do you love? Why?” Here are a dozen that I chose for this first post of the new year. The obvious theme here is nature and California landscapes (if you recognize some of the locations). I honestly have to say that I enjoy all of these shots. So much so that these are featured in my annual calendar. But, for me what made these special was the adventure to get these photos. Some of these adventures were on a whim, some were planned out, google searched potential locations and a few were simple walks along places I’ve been to hundreds of times. I’m gonna work on ‘conveying the adventure’ part, more on that later. I look forward to 2017 and what it holds in photos, in adventures and reigniting my creativity.My goal, publish something weekly, so 52 weeks of cool imagery that I hope inspires you as much as it did me. Oh and for the following weeks, less writing, it’s really not my forte. This entry was posted in Landscapes, Sky, Tahoe Rim Trail, Water and tagged hiking, Landscape, Night, river, tahoe, Waterfalls. This week I pulled #15 from the Lightbox Photography Cards set. “This is a tough challenge, but it doesn’t have to be a big show. Go out and get some sparklers, a tripod and a remote release and experiment till your heart’s content.” I pulled this card and thought, “where am I gonna get fireworks, it’s August?!? and ‘sparklers’ are definitely out of the question in bone-dry California.” Instead, I went with Nature’s Fireworks. It was the annual Perseid Meteor Showers and found my opportunity in the night sky last week. This entry was posted in Cool, Night, Sky, Tahoe, Tahoe Rim Trail and tagged Milky Way, Night, Perseid, sky, tahoe.